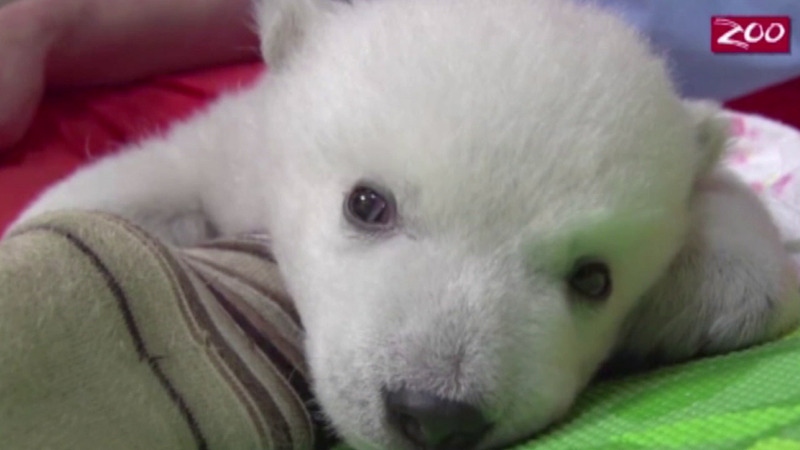 COLUMBUS, OH -- A polar bear cub being raised by Columbus Zoo staff after being abandoned by her mother is ready to be named and the zoo is holding a contest to let the public choose her new moniker. The cub was born on Nov. 6, 2015, at the Columbus Zoo and Aquarium, half of a litter of two but her sibling did not survive. When her mother stopped caring for her, zoo staff took over. Now three months old, she's ready to be named. Zoo staff selected four names for the public to choose from: Desna, which means "boss"; Nora, from Nanuq and Aurora; Kaya, which means "little but wise"; and Sakari, which means "sweet." You can vote on a name by clicking here. Voting is open until Feb. 3. Her name will be announced on Feb. 5. The cub is not yet on display at the zoo, but her handlers think she may be ready to be seen in the spring.